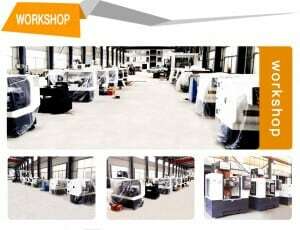 Yancheng Yujie Machine Co., Ltd is one of the leading CNC lathe machine manufacturers in china. We specialized in CNC lathe machine manufacturing for more than 19 years. We produce CNC lathe machine. Our machines are popular in the international market. We exported about 200 CNC machines to more than 30 countries last year. The alloy wheel repair lathe machine is developed for diamond cut alloy wheel refurbishment business. We developed the first diamond cut alloy wheel refurbishment machine in China. We began to produce and sell alloy rims repair lathe machine about 4 years ago. Now the alloy wheel repair lathe machine is our most popular product. We are the first Chinese company that developed our own optimized software, which is easy to operate and study. The difference with the competitor is that we don’t need any other third-party software support. The software is free for our alloy wheel repair lathe machine customers. And there is no need to transfer data from PC anymore. Now our alloy wheel repair lathes have been exported to more than 30 countries and got good feedbacks.